Free Life Cycle Activity Centers. 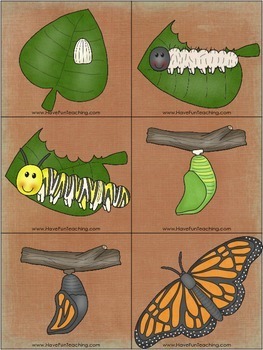 Includes activities for the life cycle of a Chicken, Frog, and Butterfly. 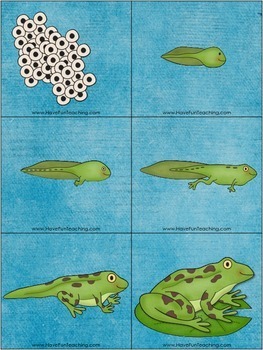 Skill: Sequencing the life cycles of three animals. 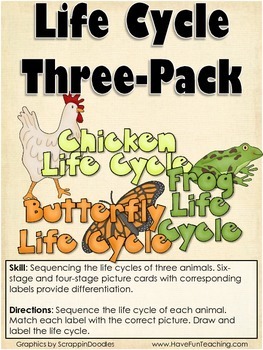 Six- stage and four-stage picture cards with corresponding labels provide differentiation. Directions: Sequence the life cycle of each animal. 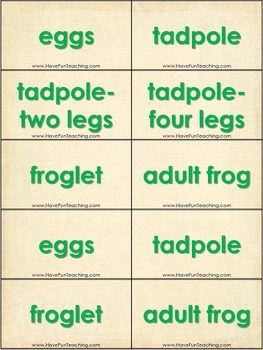 Match each label with the correct picture. Draw and label the life cycle. Brought to you by HaveFunTeaching.com!